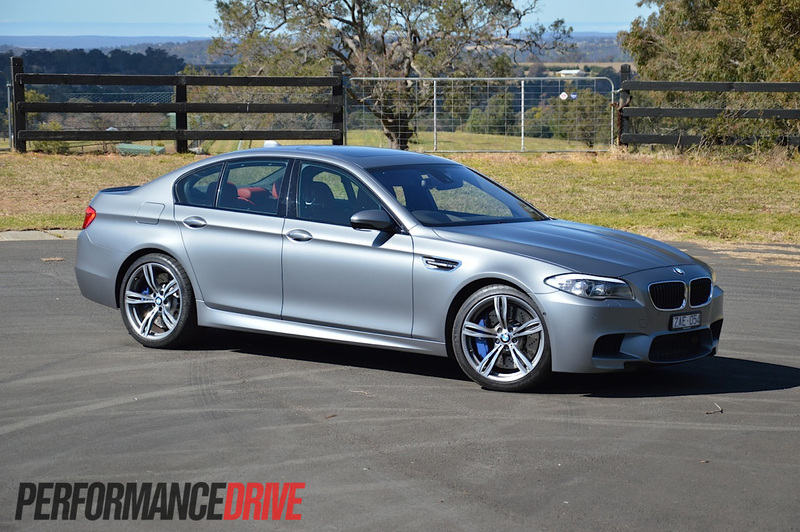 Welcome to the 2012 BMW M5; the most powerful BMW currently on sale, and, arguably, the greatest BMW currently on sale. 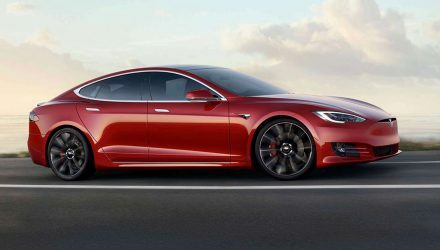 It features an intensely powerful twin-turbo V8 engine under the bonnet, while the cabin is filled with the latest in supreme luxury and features. Could it be the ultimate and most complete motor vehicle currently on the market? Engine noise could be turned up a notch or two? 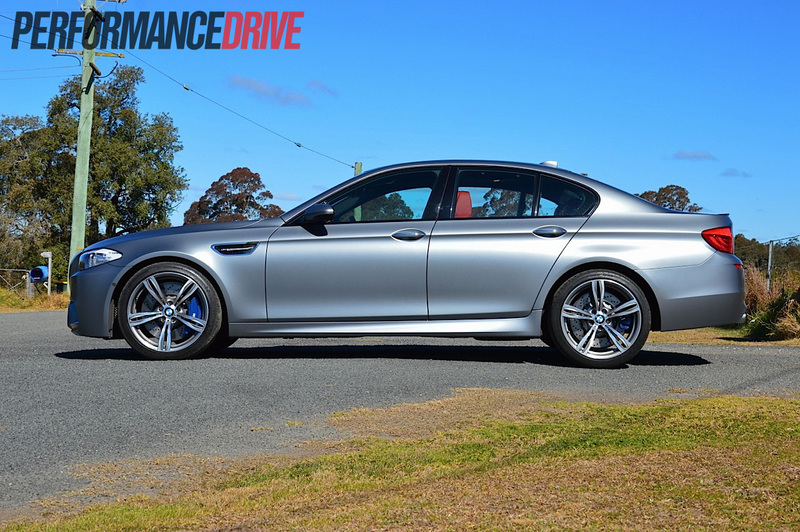 If you’re after the best large sports sedan currently on the market, you either have the Mercedes-Benz E 63 AMG, or this, the mighty 2012 BMW M5. The M5 is the vehicle that started this whole notion of uber-performance blended into a large luxury sedan, back in 1985. It’s now in its fourth generation. 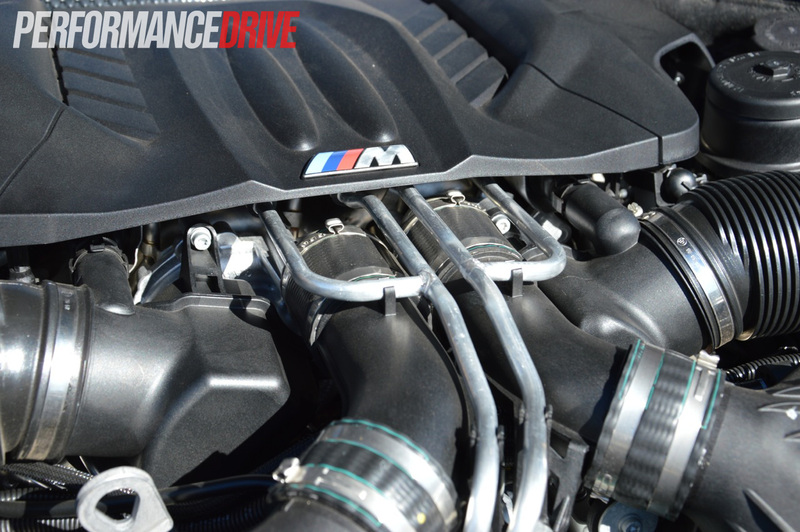 Up until this model, all have been powered by a high-revving naturally aspirated (NA) engine; it’s been the M philosophy since the beginning. For the 2012 (F10) model though, aspiration is now assisted, replacing the NA V10 predecessor. 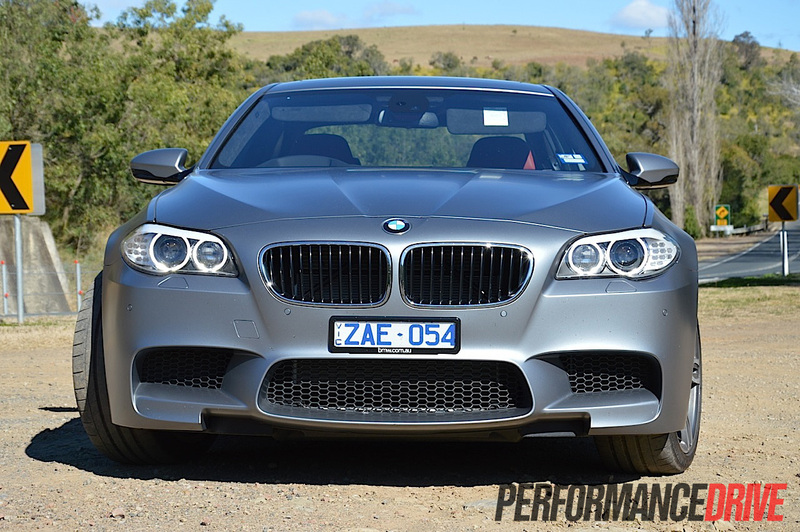 It’s a 4.4-litre V8 using two TwinPower (variable geometry) turbochargers. 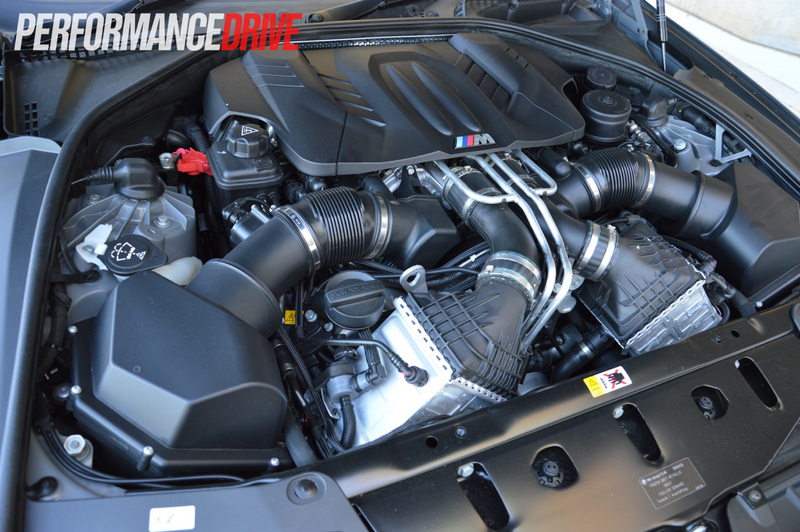 The engine features direct injection and variable valve timing for intake and exhaust cams, and produces 412kW of power and 680Nm of torque. Fuel economy is significantly improved over the old V10 thanks to the introduction of turbochargers. 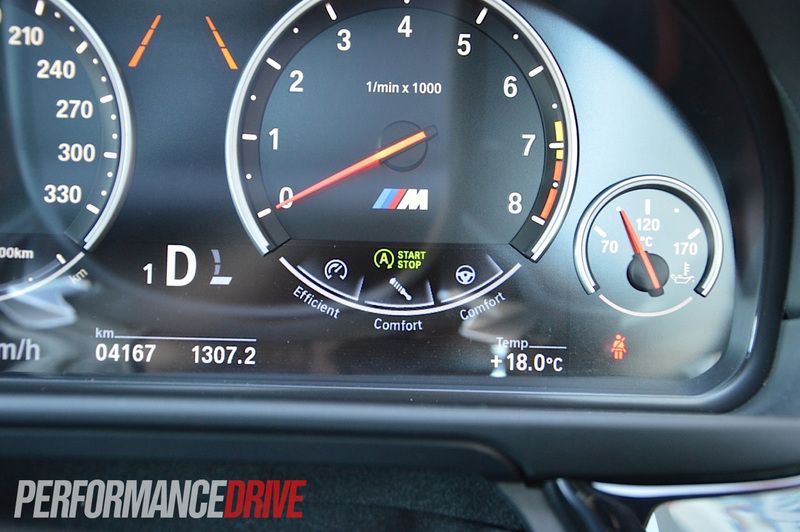 The official ADR combined rating is 9.9L/100km compared with the previous 14.8L/100km. 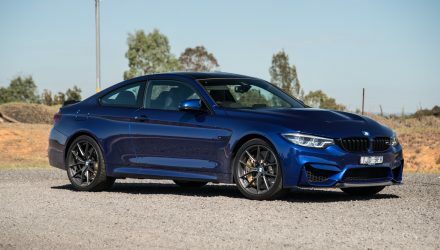 It’s also quicker and more powerful, clocking 0-100km/h in 4.3 seconds according to BMW (we tested an easy 4.1 seconds) versus the old 4.7 seconds. Prices start at $230,000. 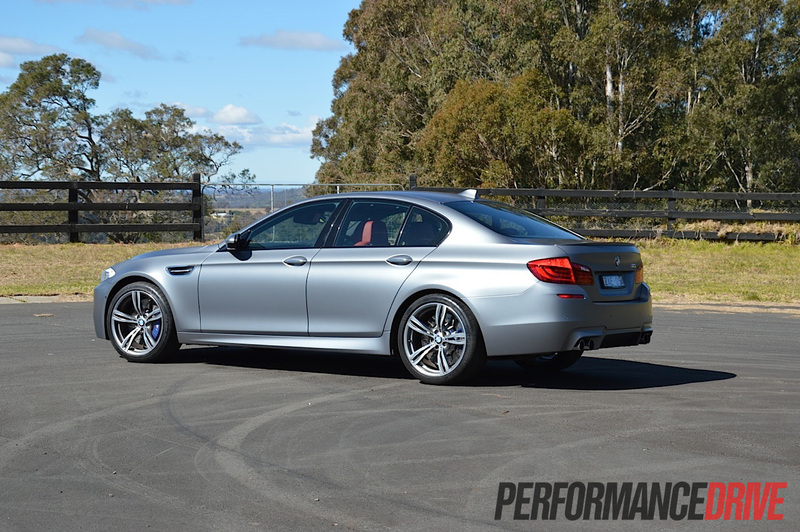 In Australia, the M5 is available only with a seven-speed dual-clutch M automatic transmission. 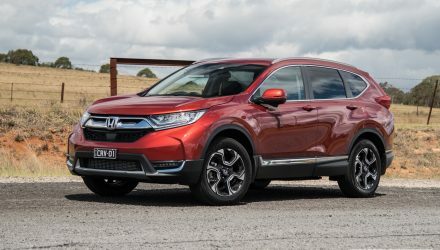 Where to start with the features? 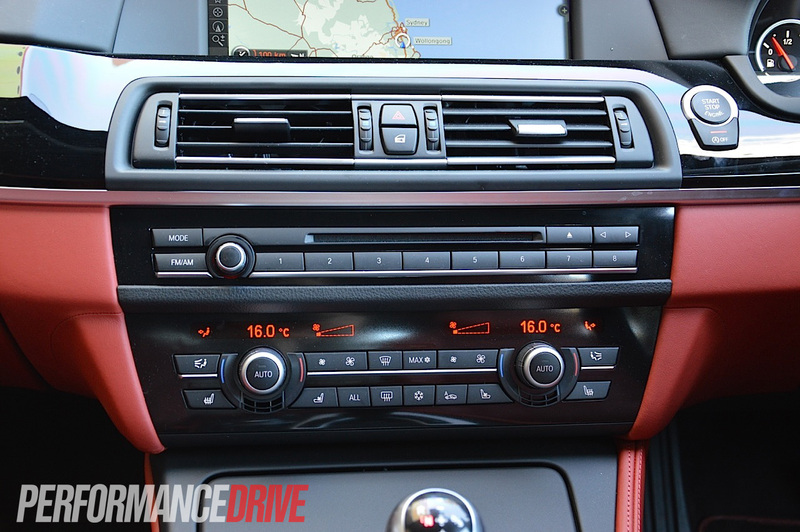 The M5 is not only a performance model, it’s also the flagship, top-of-the-range 5 Series, so it comes with more luxury and convenience than a complete home cinema. 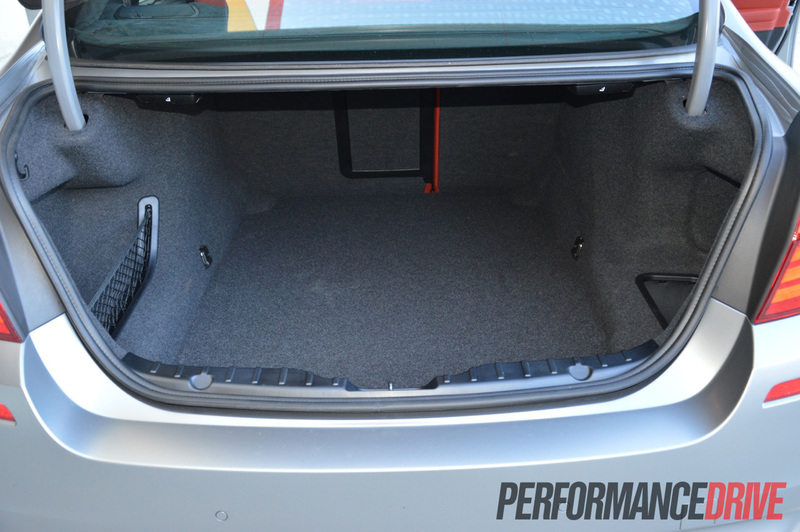 This means it can carry you and four passengers in fine luxury. 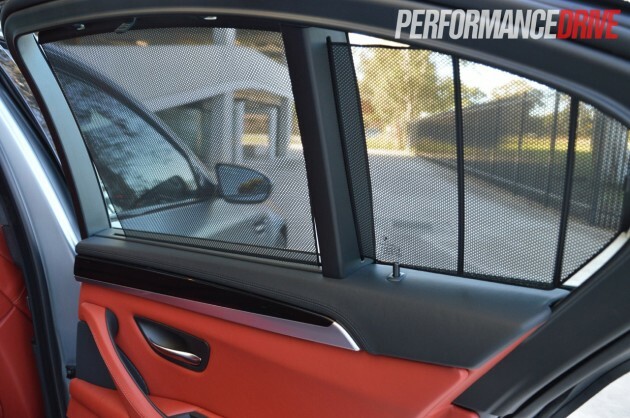 Almost everything is electronically adjustable, including the front M seats that are ventilated and can be heated, as well as the boot and steering column – even the doors will pull shut automatically if you don’t close them fully (as seen in the video below). 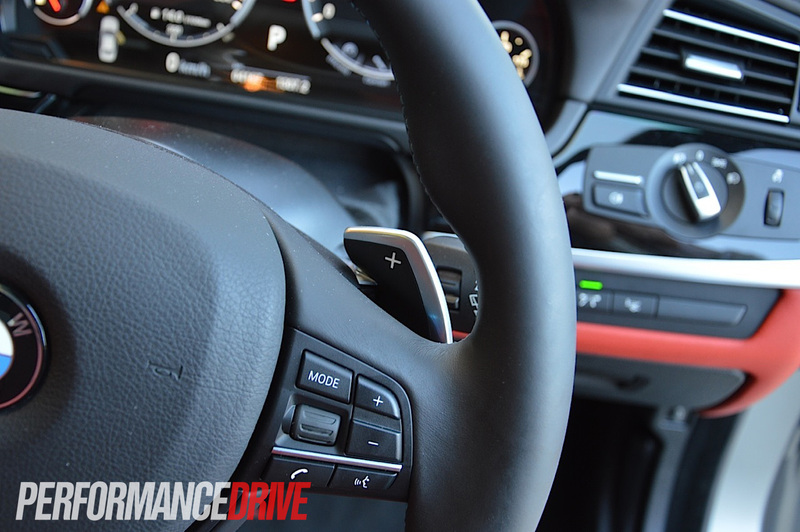 For the driver; the steering, suspension, throttle response, and gear shift speed can also be adjusted. 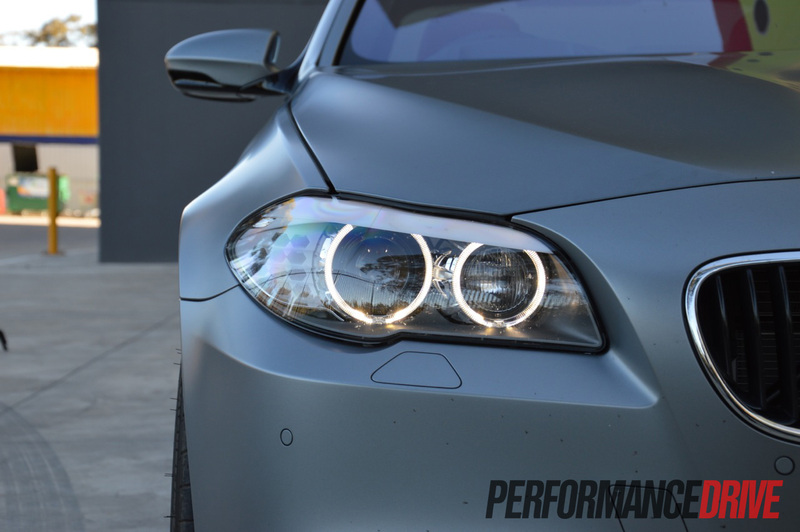 Each component can be set up in three different degrees of aggressiveness/performance, from ‘Efficient/Comfort’ to ‘Sport Plus’. All in-car entertainment and media settings are controlled through BMW’s latest iDrive-controlled 10.2-inch wide-screen LCD. The system incorporates a ‘Professional’ grade 600-Watt HiFi stereo system with Dolby Pro Logic surround sound with 16 speakers. As you can imagine, the sound quality it produces is simply excellent. 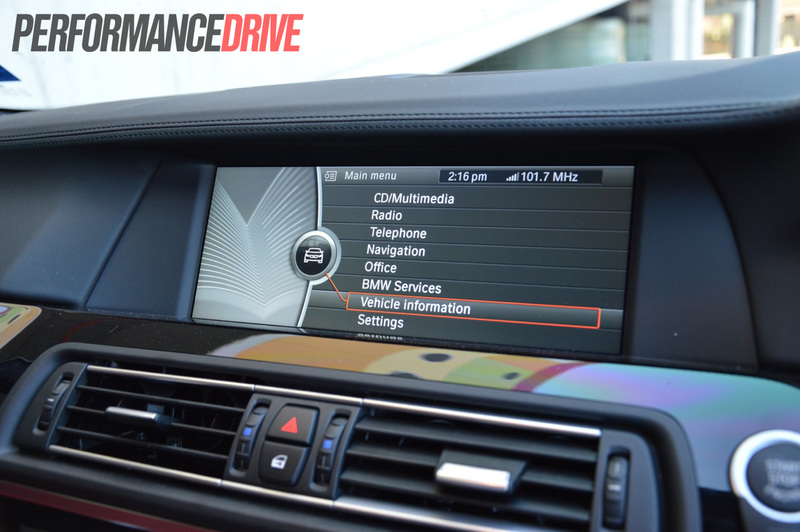 The Professional interface features internet access when connected to supported mobile phones through the Bluetooth setup, as well as satellite navigation and TV functions. 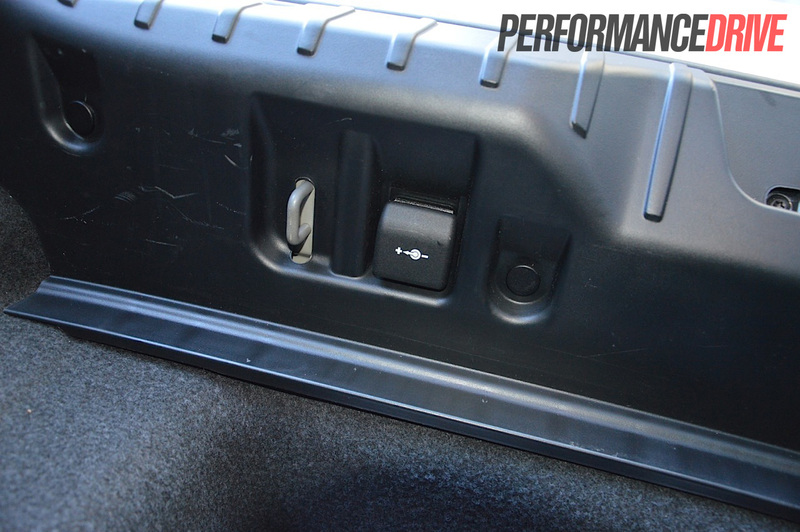 The unit also includes a 12GB hard drive for storing your music. 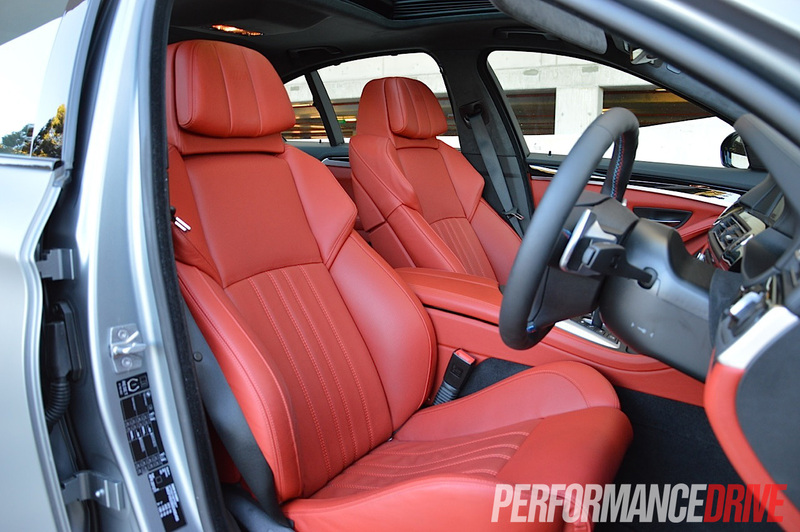 It’s a great long-distance tourer inside, with plenty of legroom front and back, and lots of features to keep all passengers entertained and comfortable, including dual-zone climate control for the rear passengers and dual-zone in the front. The rear passengers are also treated to pull-out blinds for the side windows. Being a BMW there are still optional extras available despite the $230,000 price tag, such as a heated steering wheel ($500), heated rear seats ($900), and even a rear-seat entertainment package with two eight-inch LCD screens compatible with DVDs and gaming consoles ($4400). 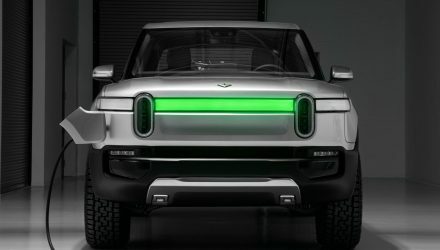 If $230,000 is petty change to you, you can also opt for the high-end Bang & Olufsen 1200-Watt 16-speaker surround sound system ($10,000), or the BMW night vision display ($4500), or even the ‘Professional’ rear-seat entertainment package with two 9.2-inch LCD screens with internet and navigation functions ($5700). 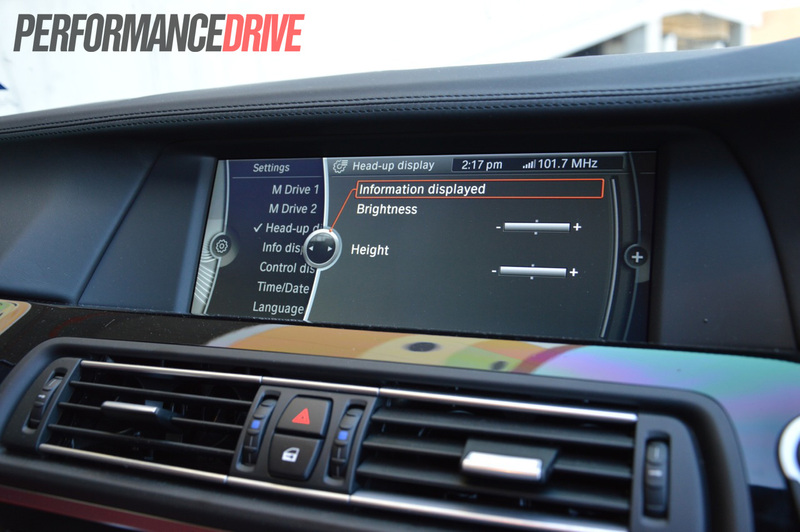 Like most of the latest BMWs in the showroom, the M5 also gets a comprehensive vehicle settings on-board computer which can help you set up the car to suit you and your requirements. 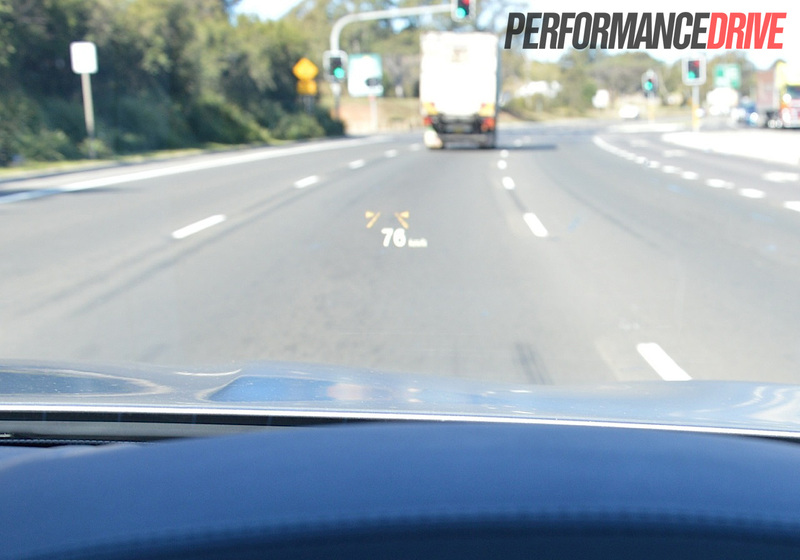 The head-up display for instance is adjustable for brightness and height, while the check control settings are capable of checking the engine oil for you without lifting the bonnet. There are also tyre pressure monitoring functions, and automatic checks for things such as light bulbs and service intervals. 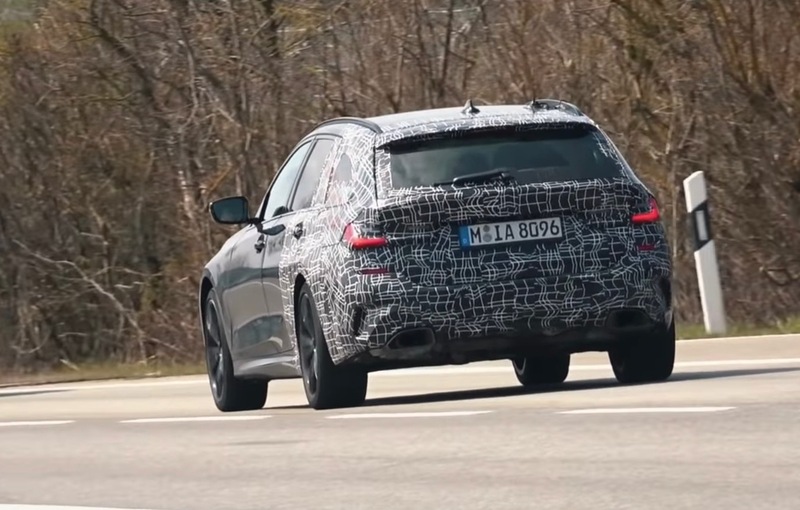 From the exterior, the new M5 looks smaller than the old E60 model. It’s actually larger. We think this is down to the more evenly proportioned design which gives off a neater and tighter appearance. It’s longer and wider than the E60, but it is lower: 4910mm vs 4855mm, 1891mm vs 1846mm, and 1456mm vs 1469mm, respectively. 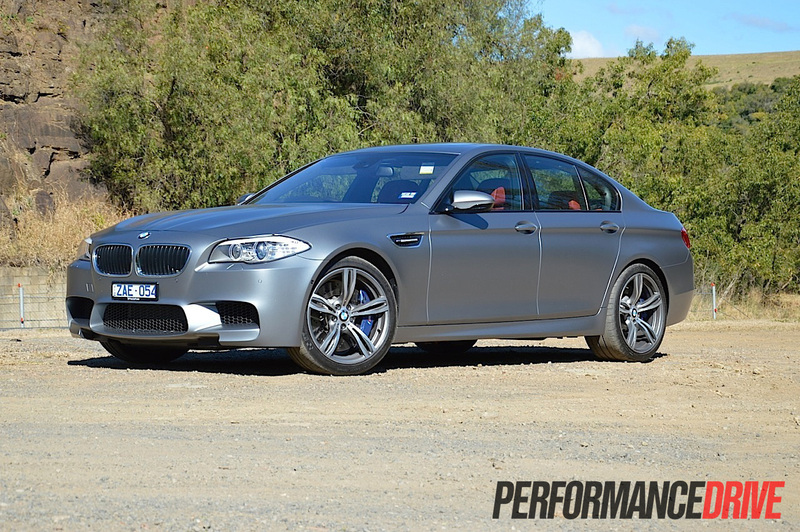 In the optional Frozen Grey paint scheme we have here, the M5 is nothing but sinister. 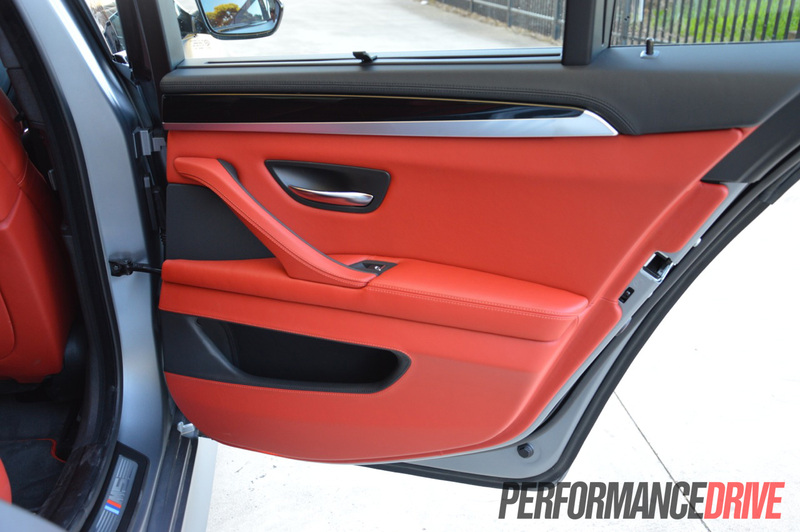 It oozes sheer understated performance, like a stealth fighter jet. Even though the history of the M5 is about subtle styling tweaks over the normal 5 Series, there’s no mistaking this model as being something special, especially in this colour. 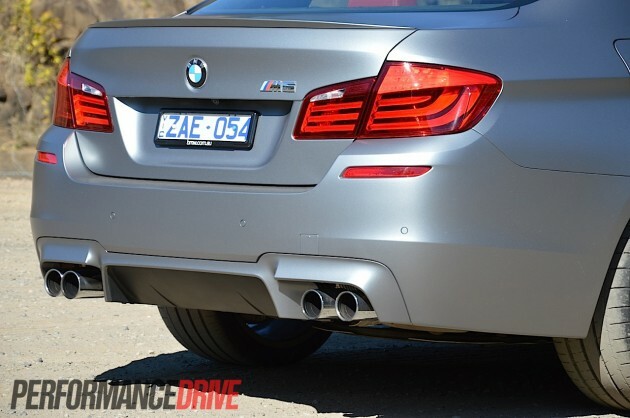 The quad-outlet exhausts and rear diffuser are an instant giveaway at the back, while the trademark horizontal gill in the front guard is also a key to its lethal underpinnings. 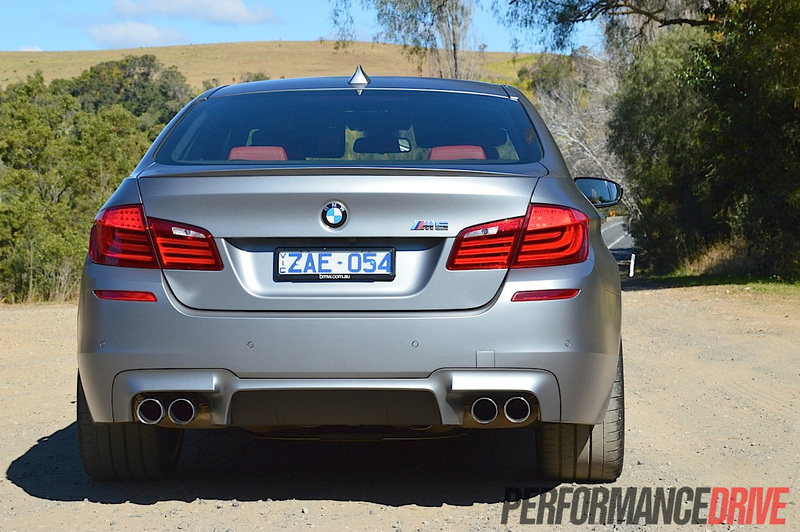 The M5 gets a discreet bodykit over the normal 5 Series as well. 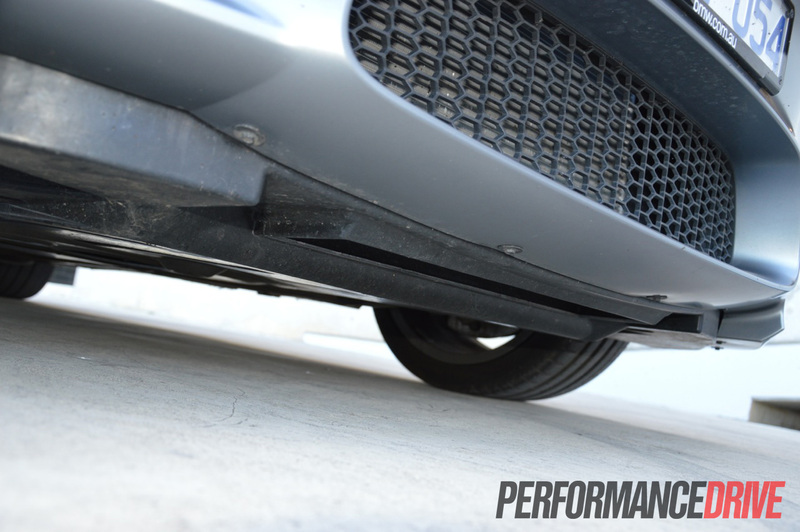 It is a neat kit with a slightly more aggressive front bumper bar and a chunky rear-diffuser-infused sports rear bumper bar. There’s also a tidy lip spoiler on the boot lid. 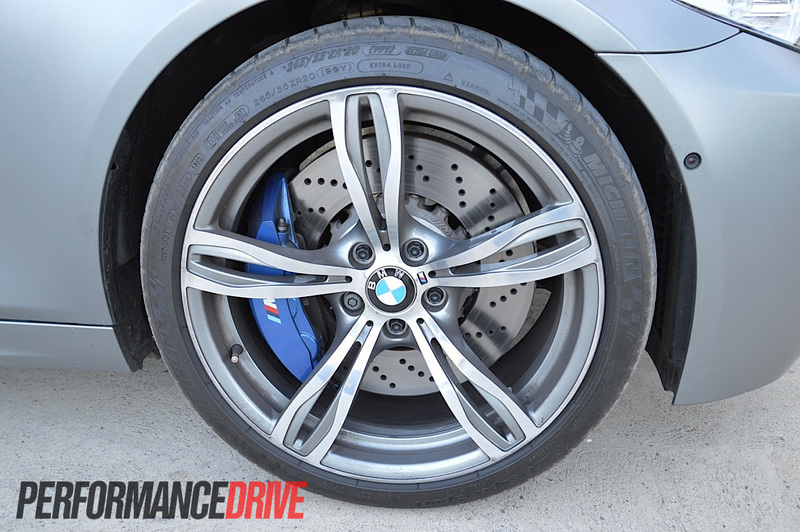 It’s all topped off by a set of 20-inch alloy wheels which show off the huge blue-painted six-piston brake calipers clamping 400mm ventilated and cross-drilled discs on the front, and 396mm discs on the back. 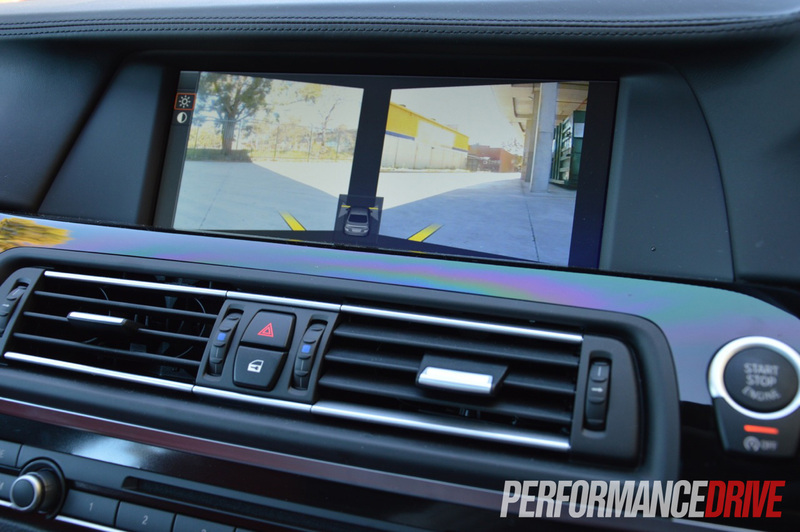 In terms of safety, the 2012 BMW M5 comes with cruise control with braking function, parking assistance with Surround View cameras giving a bird’s eye perspective, stability and traction control of course, and an interesting Side View perspective using cameras mounted just ahead of the front wheels (see images and their descriptions at the bottom of this page). Lane Change Warning (blind-spot assistance) and Lane Departure Warning – as tested – are optional. 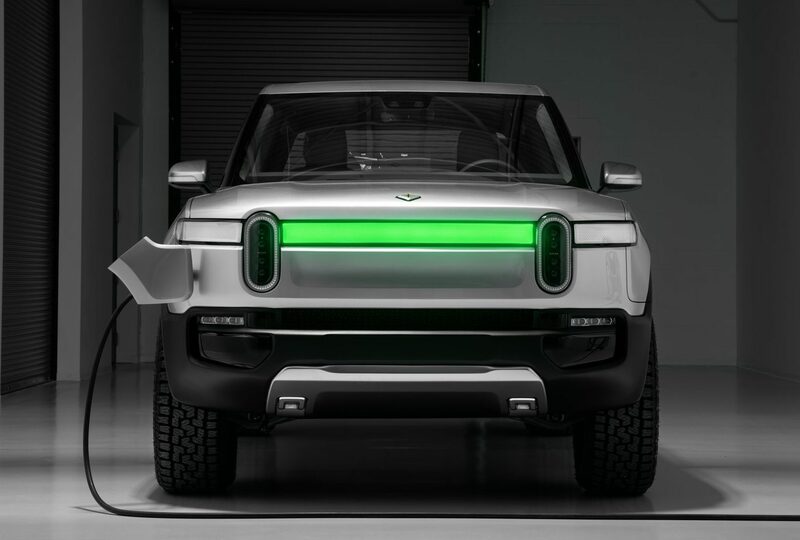 We found the blind-spot assistance to be quite useful as it sends a gentle vibration through the according side of the steering wheel to remind you if a car is lurking in your blind-spot. A warning triangle is also lit up in the respective side mirror. 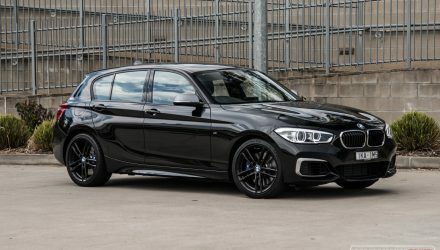 Even though ANCAP hasn’t actually crashed an M5 into a wall for testing purposes (thank god), it has tested the normal 5 Series and given it the full five stars. 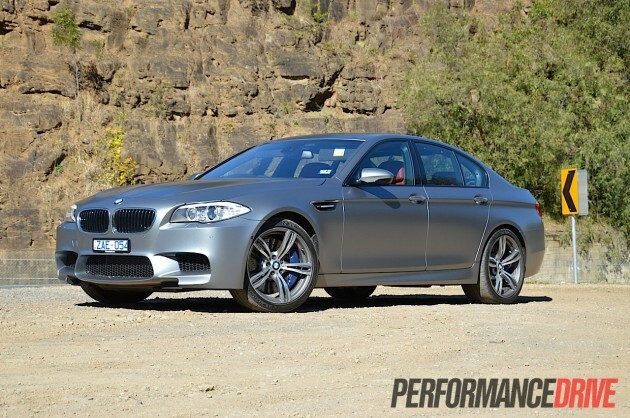 So, you might be wondering, how does the 2012 BMW M5 feel out on the road during normal driving conditions? 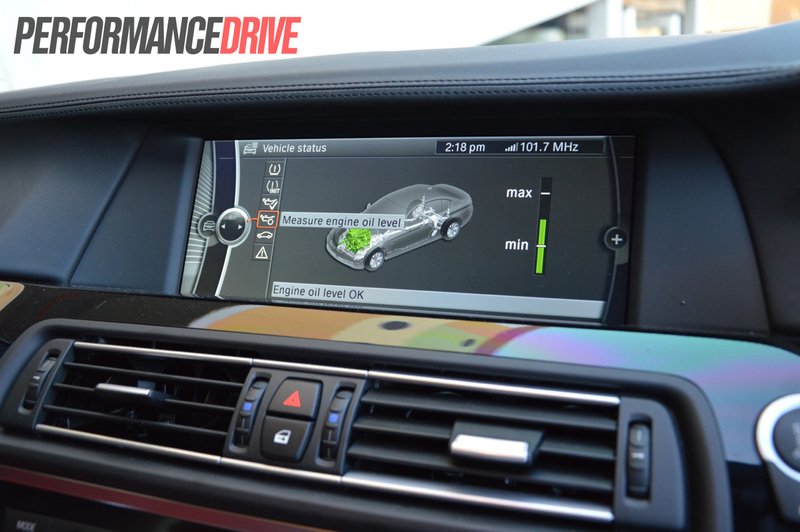 It feels like a brand-new top-of-the-range 5 Series. It doesn’t feel overwhelming at all, despite that colossal power figure. 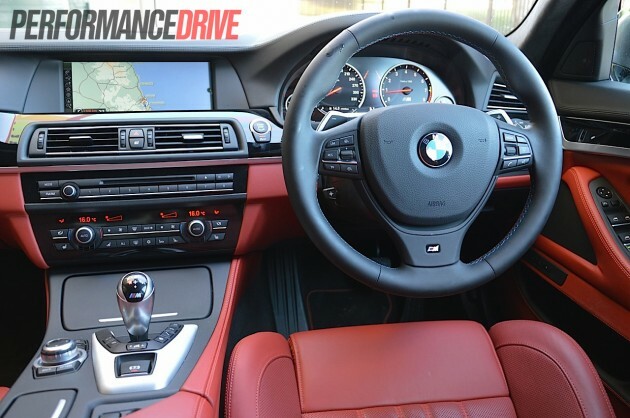 With the adjustable steering, throttle, gear change speed, and dampers set in the default Comfort/Efficient settings, your grandmother could quite easily and happily cruise the M5 down to the church on Sundays. 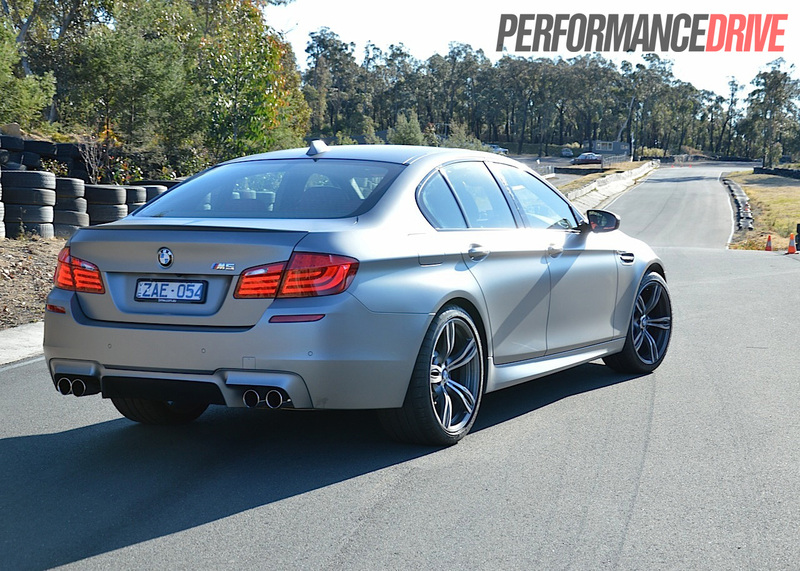 It’s soft and supple over bumps, the steering is light yet very precise, while the engine simply burbles around like any other conventional V8 sedan. 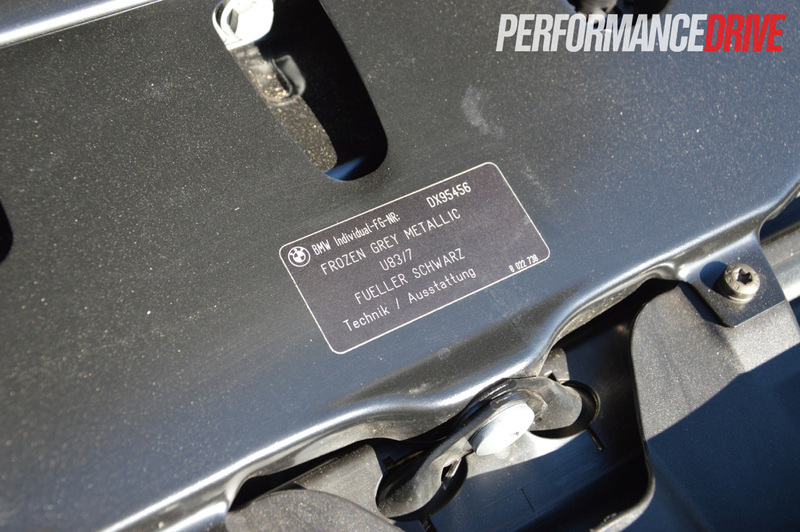 The transmission also behaves like a normal automatic in the relaxed modes, however, we did experience some rolling back during hill starts. 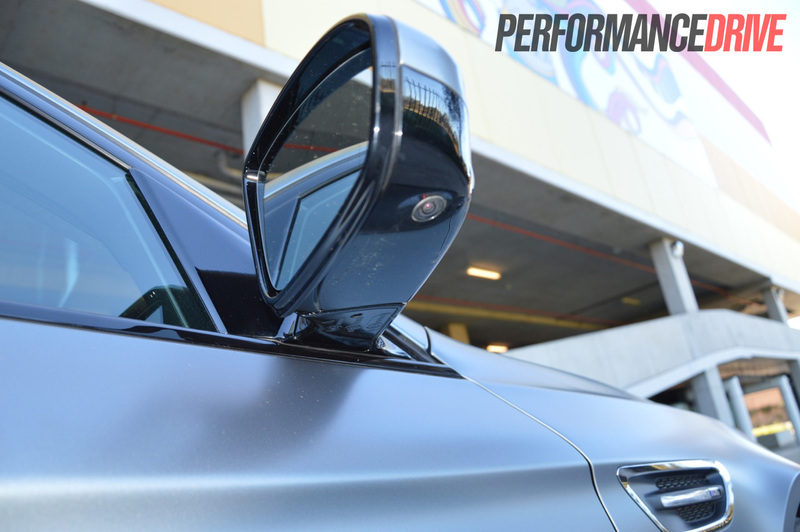 The beauty of the new M5 is that it is like a Swiss army knife; it can be transformed from the can opener into something else that’s much sharper and much more aggressive. Let us try and give you a quick rundown. 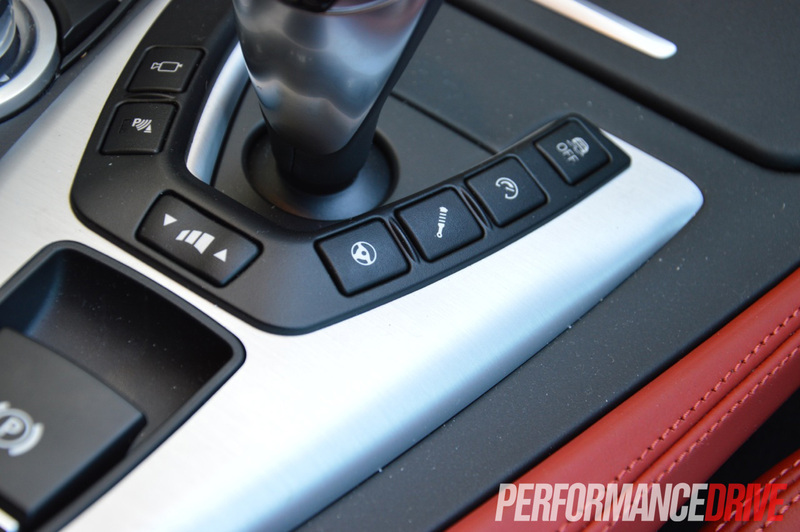 The steering and suspension have three settings you can select from, from Comfort, Sport, to Sport Plus. 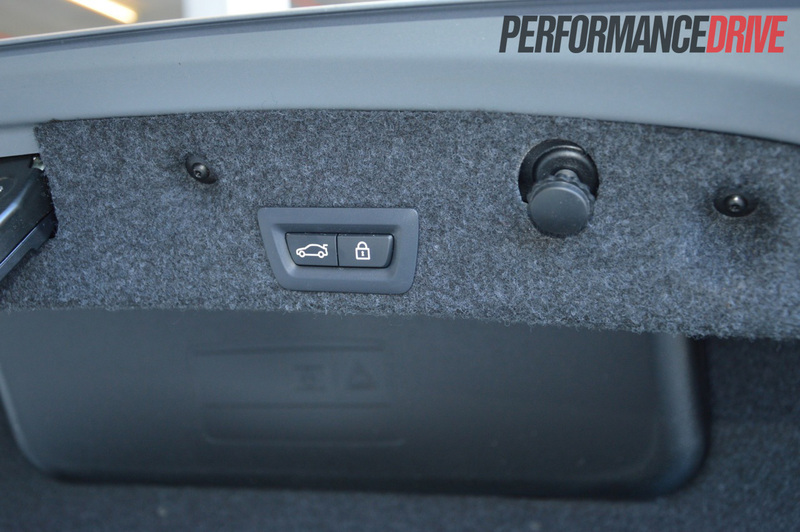 The throttle response also has three settings – Efficient, Sport, Sport Plus – as does the transmission in regards to the speed at which the gears change. 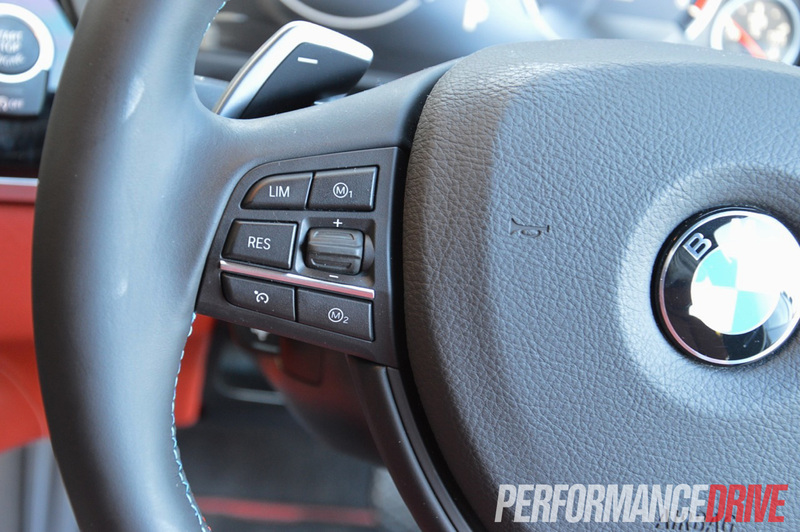 This might sound confusing, however, there are two intriguing buttons on the steering wheel labelled ‘M1’ and ‘M2’. 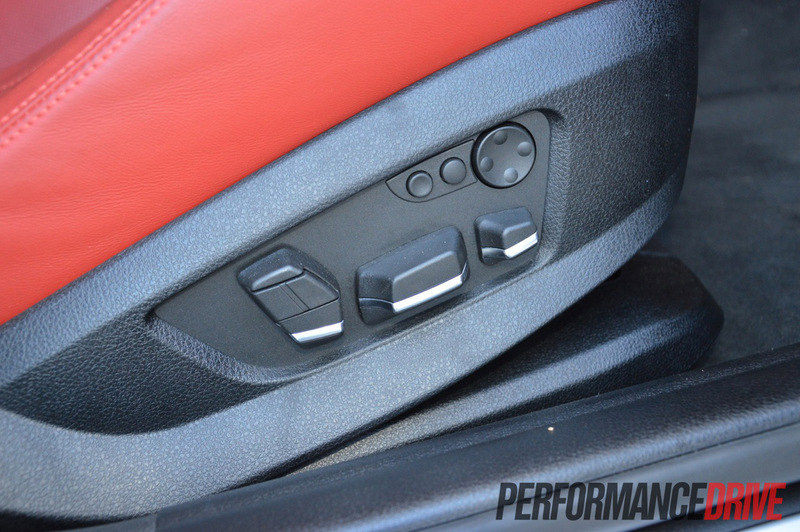 These are like radio preset buttons. 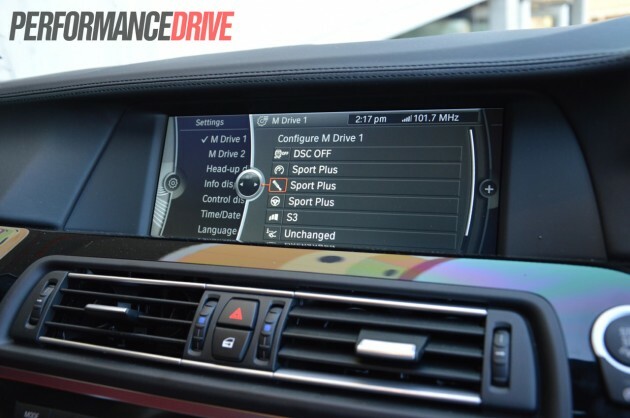 When you first take delivery of your M5 you simply go into the menu options and set up the two buttons in two different overall settings that you can instantly jump to. 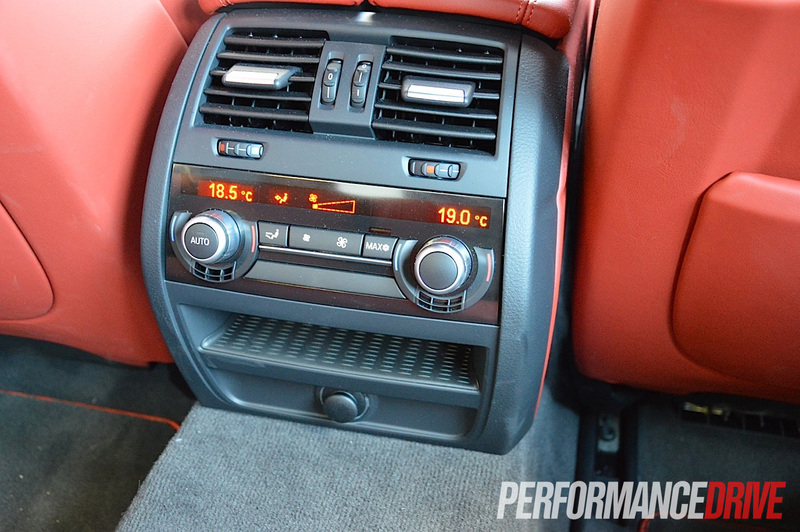 The car will always start in the default mode, that is, everything set to comfort/efficient. 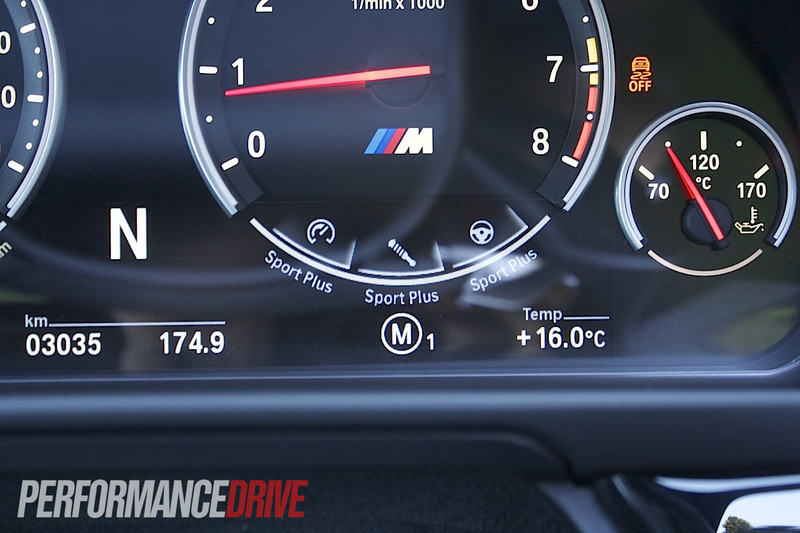 We had the M1 button set up so everything was set to maximum attack with the traction and stability control completely switched off. When we entered the track (more below), it was simply a matter of hitting M1 and she was ready to go. 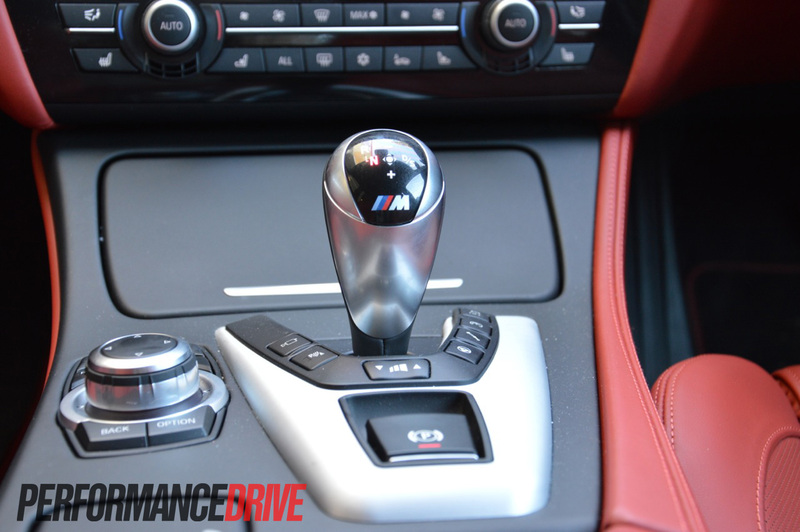 You can also make individual adjustments to each component to fine-tune the setup on the go by hitting the according button next to the gear shifter. If you’re taking the parents to the airport for example, and you have it in default mode but you like the steering to be a little heavier, you can hit the little steering wheel icon button to prompt the Sport setting. 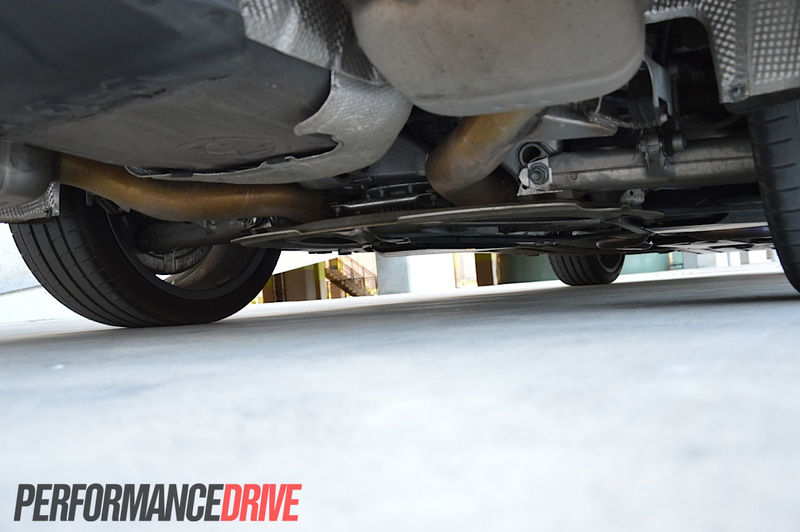 If the suspension is too soft, again, you can individually isolate its setting to Sport or even Sport Plus. 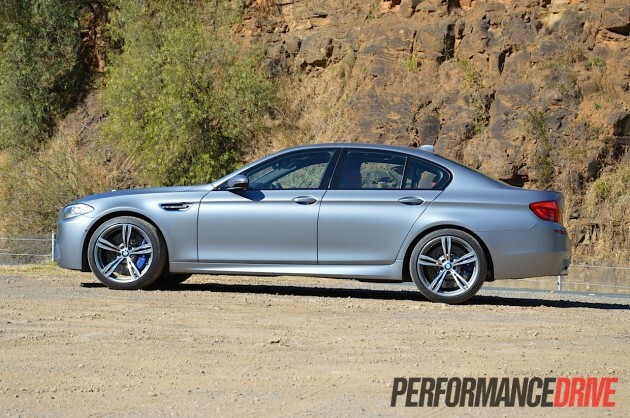 Basically, what we’re saying is the M5 is compatible with a wide span of driving styles. 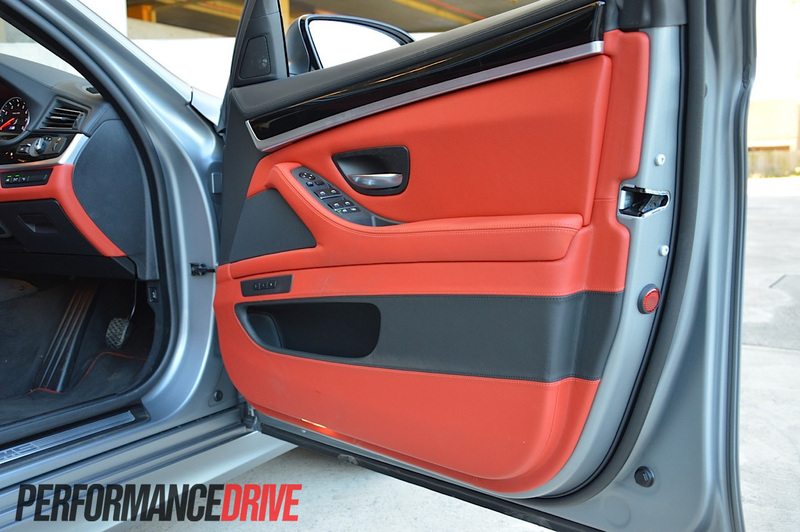 Each of the settings make a noticeable difference to the respective adjustment. We like the versatility of having many settings. 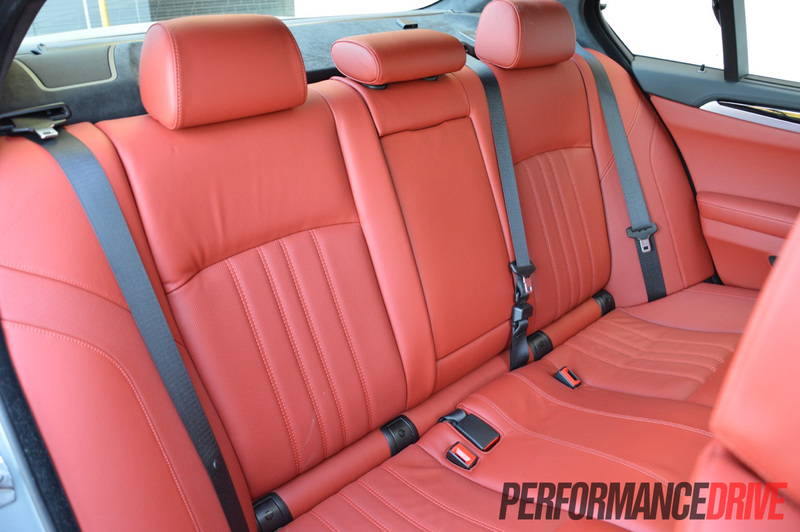 For old-school enthusiasts, we can understand this could be annoying, but in this day and age, where choices are so vast, you can tailor-make almost anything to suit your personal preference. Why not have the options? After all, the end result is a product that is trying to fit to your needs. You can forget spending $150 entry fee for a theme park. 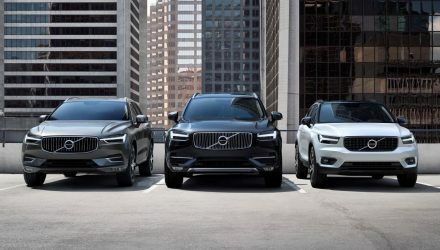 Instead, fill up one of these beasts with a tank of fuel and we guarantee you will feel just as thrilled and blown away by its performance than what any roller coaster can offer. 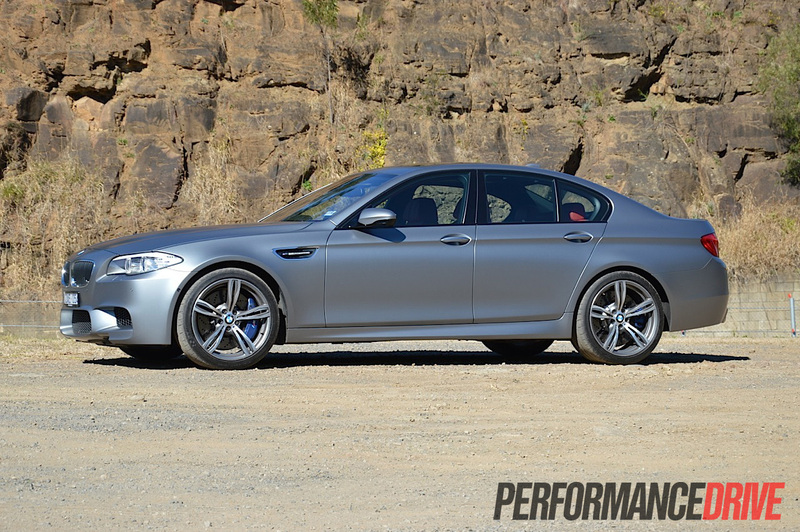 There are publications that have ran these down the quarter-mile and achieved 11.8 and 11.9 seconds; an incredibly quick time, let alone for a large luxury sedan that’s packed full of features. 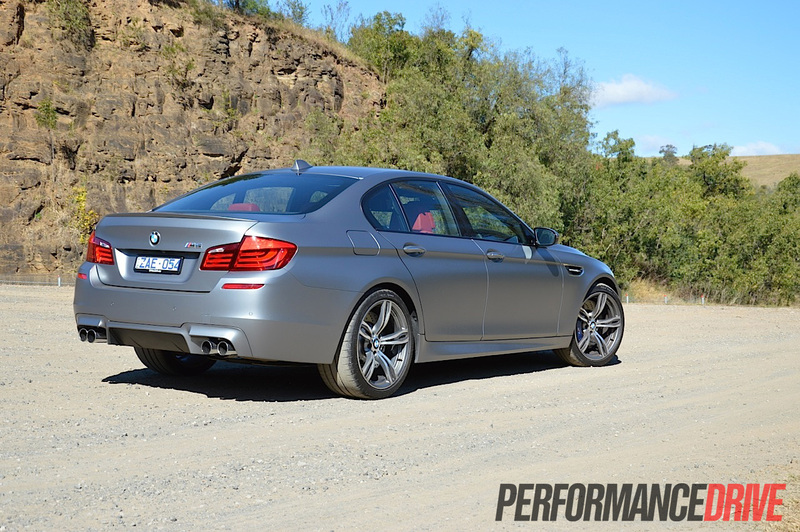 Even though the 2012 BMW M5 weighs in at a hefty 1870kg, it doesn’t feel all that heavy behind the wheel. 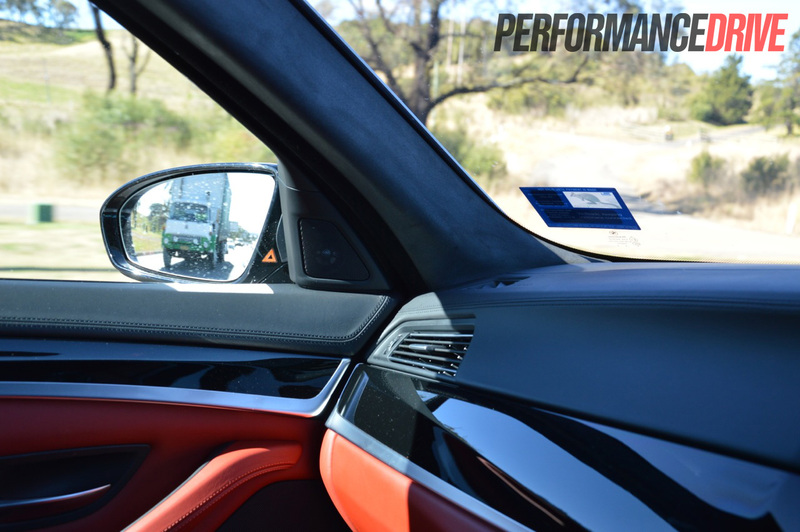 Out here at the Marulan Driver Training Centre test track in Sport Plus modes, the steering is pin-sharp and the chassis follows your inputs immediately, almost like it knows what you’re planning to do next. 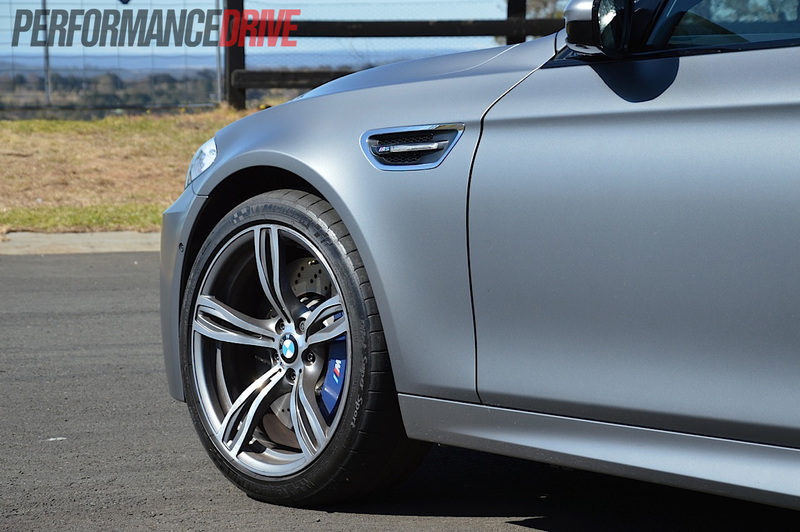 With 412kW available at the flex of your ankle, the M5 is not a car to be taken lightly. 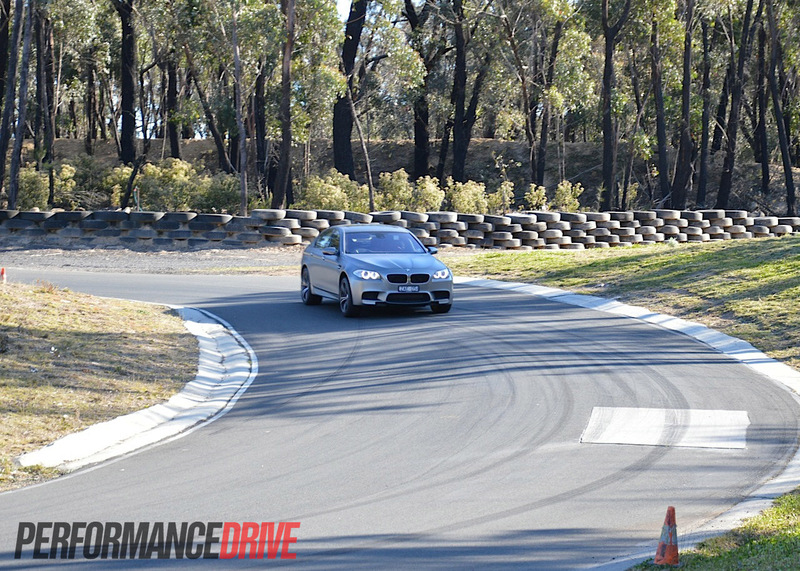 You have to know the road/track ahead and know the capacity of the awesome, potentially face-distorting brakes. If you don’t, you could very easily find yourself hitting triple figures a lot sooner than you expected, or worse, hitting a not-so-soft object. 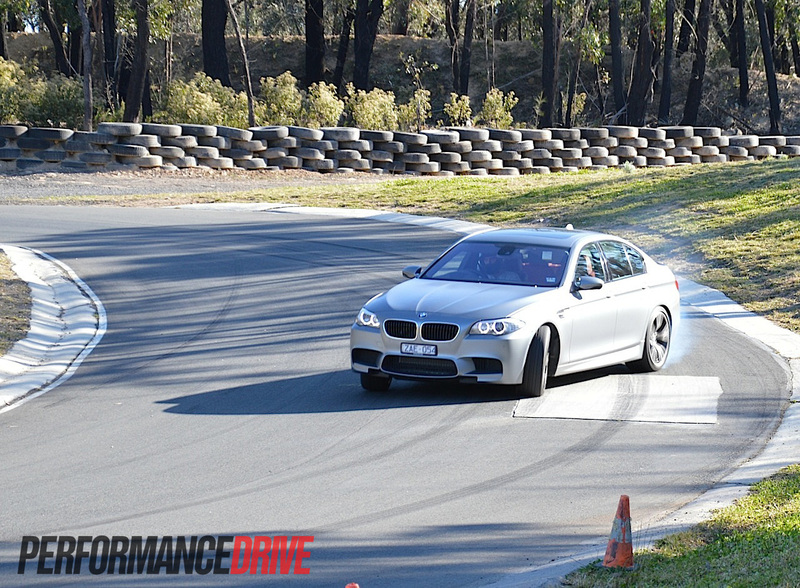 We timed 0-100km/h in just 4.1 seconds. 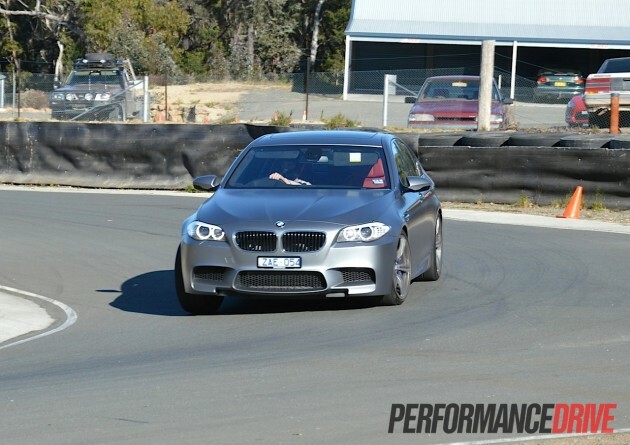 This was achieved with everything set to Sport Plus, and with the stability/traction control switched off. First gear is over in literally one second. 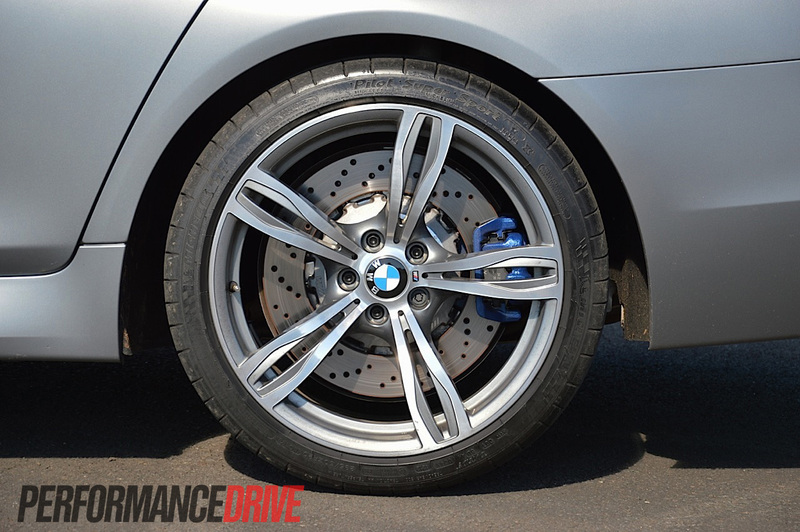 By the time you have called for second gear, you notice the rear wheels are skipping for traction quite violently. Even with wheelspin, the acceleration is tremendous. 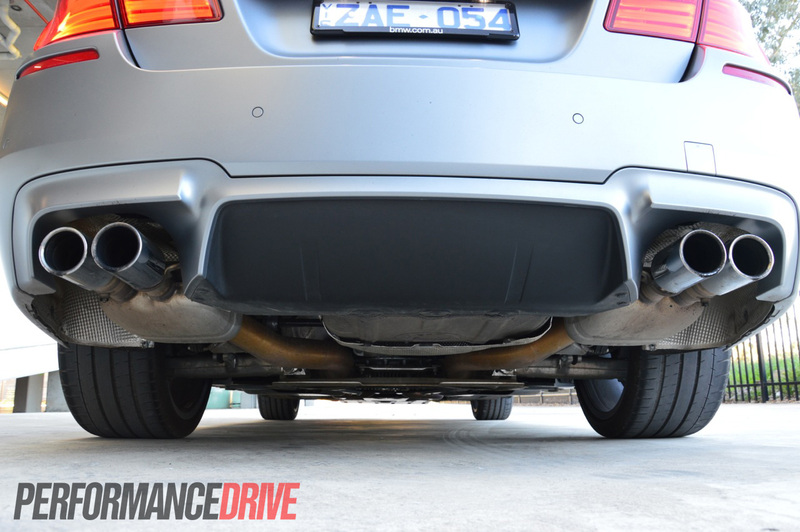 This is thanks to sticky 295mm Michelin Pilot Super Sport rear tyres. The same can be said during cornering. 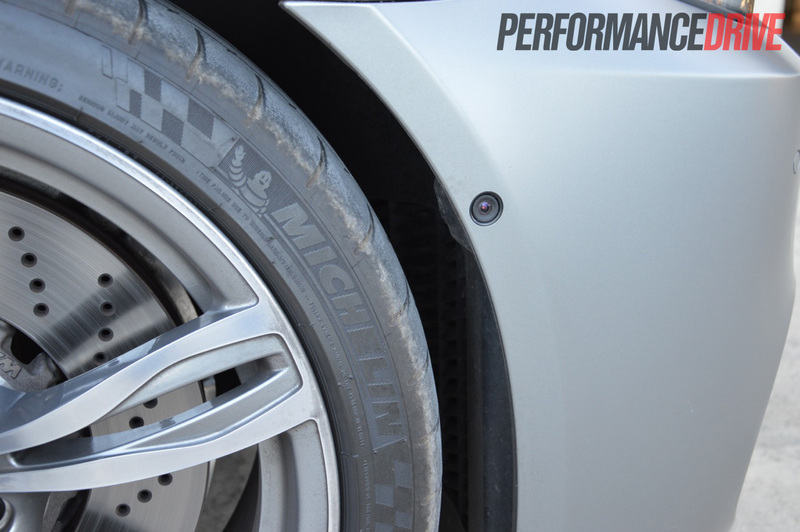 If you start to drift the car, there’s still lots of traction even with the wheels spinning as it claws and thrusts you around the corner. You’re body is battered with multi-directional g-forces. 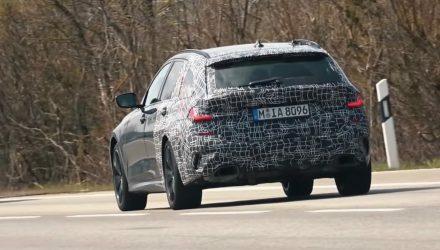 This is a highly engineered vehicle which has been developed under punishing demands on the Nurburgring and in other harsh conditions around the world. And it shows. In terms of the straight line acceleration in between corners, it’s nothing short of amazing/life-changing. 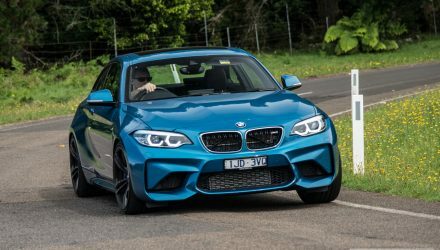 Under full-throttle second-gear acceleration, there is a bit of wheelspin – depending on the temperature of those tyres – before it savagely and very angrily propels you towards the horizon. 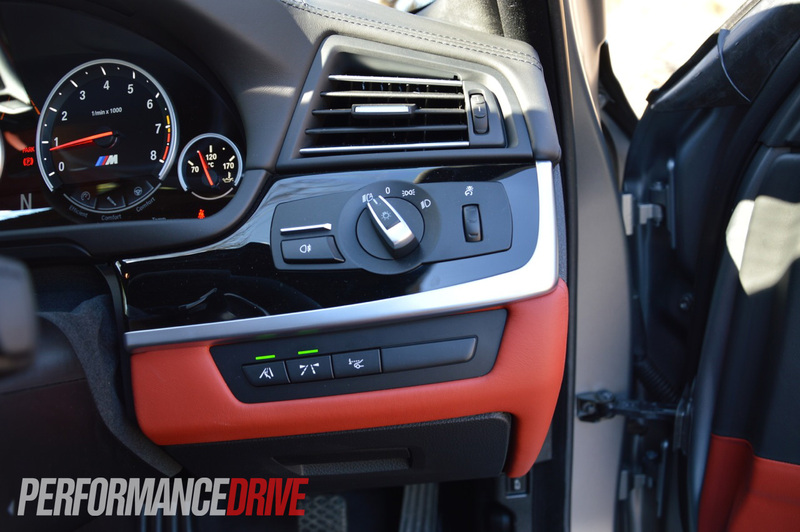 The g-force and feeling in your gut under full power could quite easily be uncomfortable for the average motorist, it’s that intense. We gave the M5 to racing car driver and Marulan Driver Training Centre director Gary Wilmington for a test drive. From the first lap, he threw it around like he’d owned it for years. 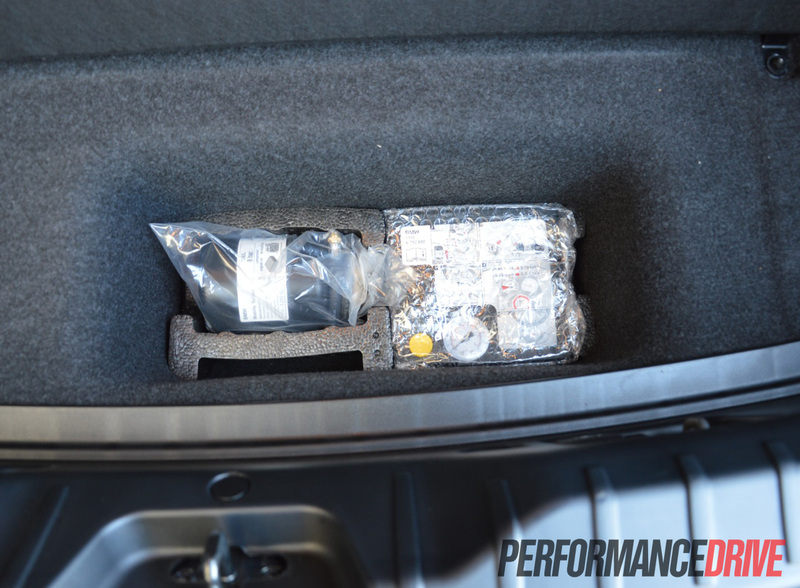 This gives you not only an indication of his experience, but also how well set up and intuitive the car is. 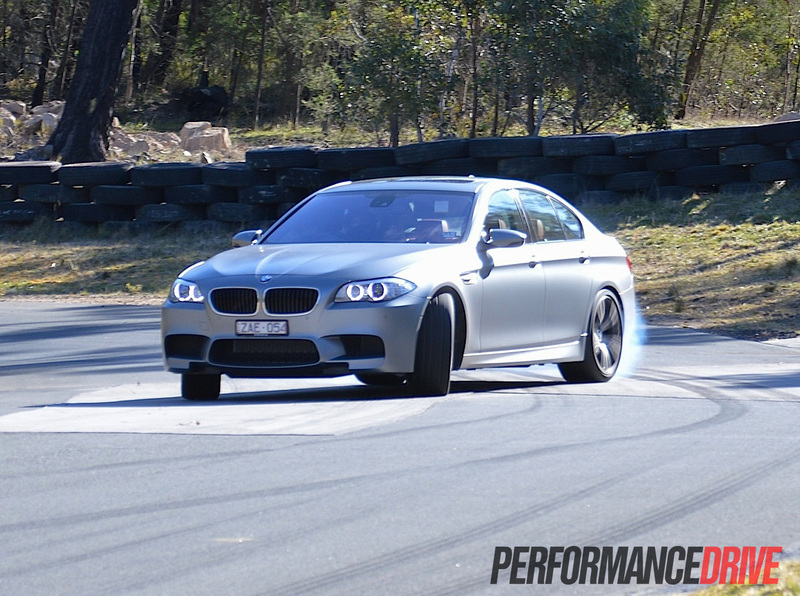 The first thing he said when he stepped out was, “This thing would out-accelerate a V8 Supercar. That is ridiculously fast”. 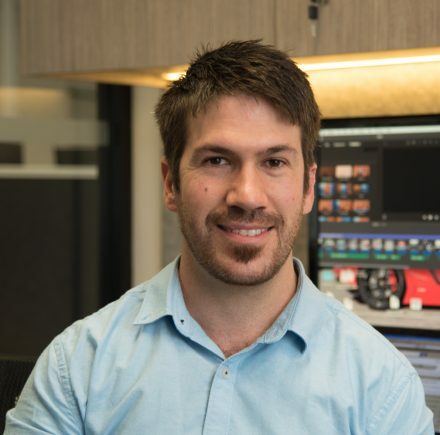 After seeing the various high-powered racing car pictures up on his office wall of his cars, we certainly weren’t going to argue with that. 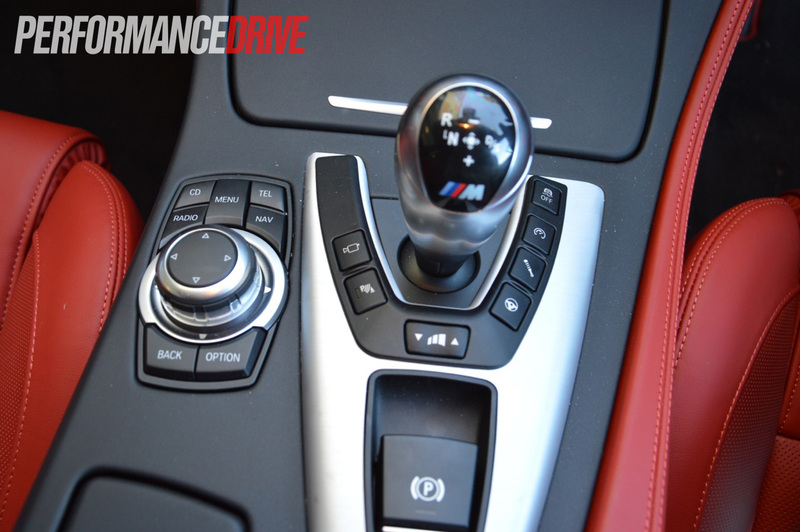 In the most aggressive mode, the seven-speed dual-clutch transmission is superb for active driving. It changes up in near-enough to no seconds, giving off a very cool muffled cracking sound from the exhaust, while downshifts are enhanced by an automatic blipping of the throttle to match the engine speed with the road speed. 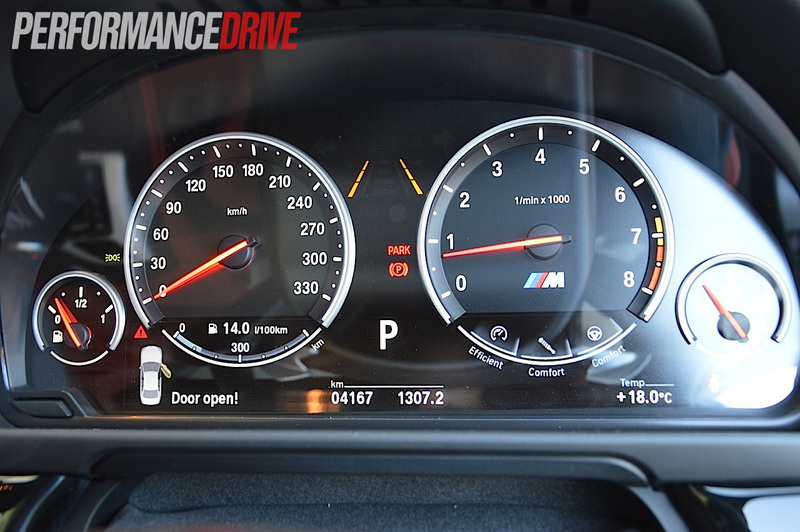 The gear ratios and gear speeds are also nicely spread to make optimum use of the 680Nm on tap. 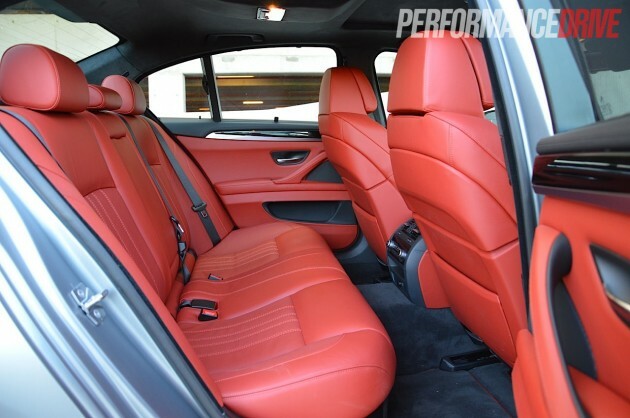 The interior is also very supportive of enthusiastic track driving, with super-chunky front seats that can be adjusted in various ways; the frontal cushion can be extended out to support under your knees, while the side bolsters can be drawn in to hug your hips. The M5 is not only a car, it’s an occasion. Whenever you drive it, or take someone for a drive in it, it’s an event; it becomes a firm slot in your memory of something you did that day. And it makes you and others feel very good for it. 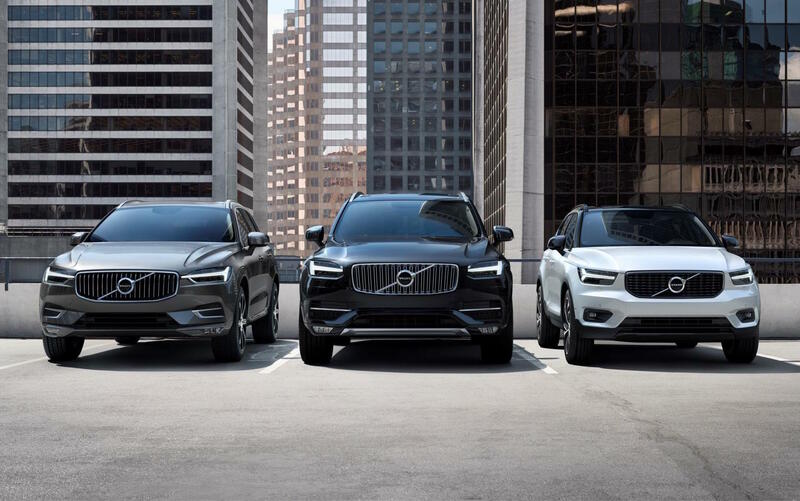 It’s not only luxurious and comfortable, it’s also one of the most powerful new road cars – including supercars – that you can buy at the moment. 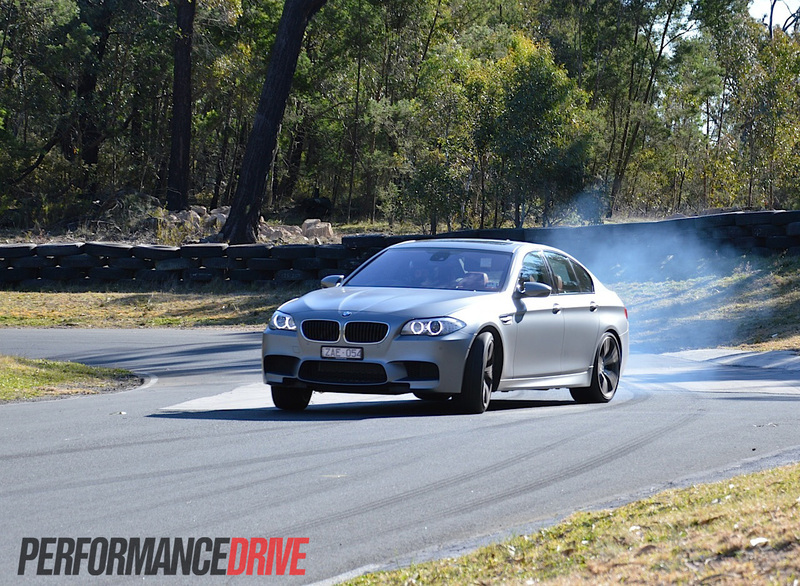 The fact that it can be pounded around a track lap after lap adds to its impressiveness. 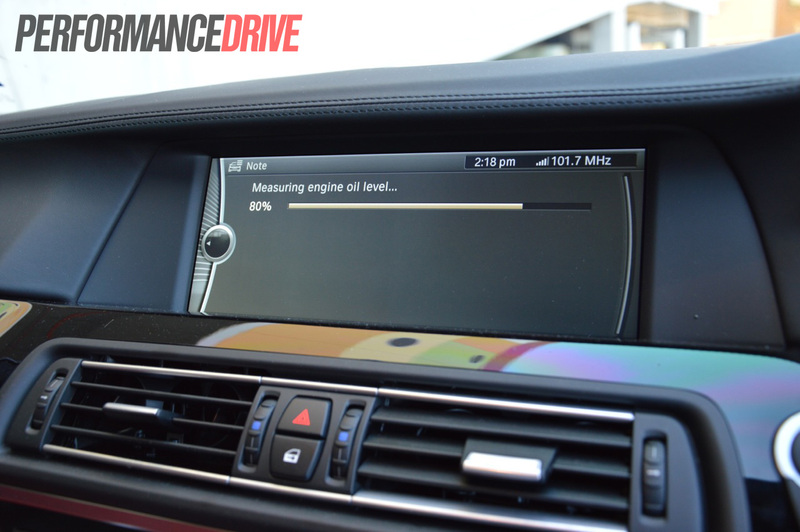 The fuel economy is not too bad for the performance either. 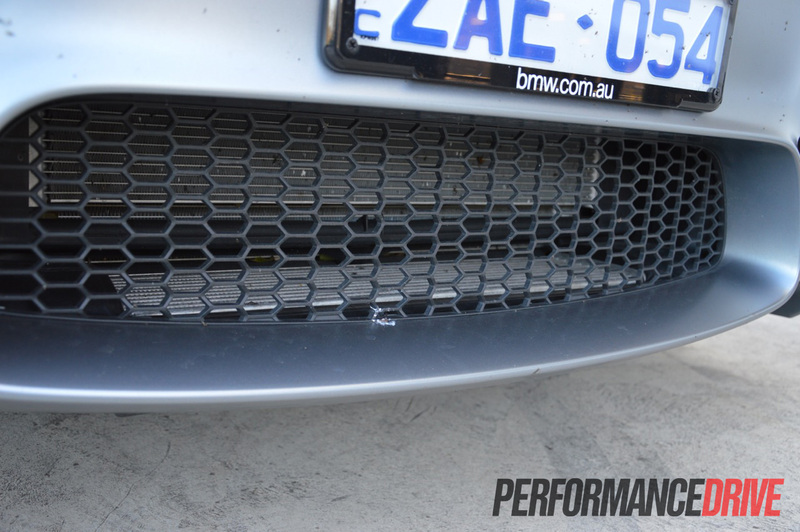 We averaged 13.7L/100km during our week with the car, and this involved lots of hard driving. To answer the original question: yes, it is the ultimate and most complete motor vehicle. The archnemesis of the M5. Slightly down on power and a lot more expensive than the M5. Still a brutally fast super-luxury sedan. Lighter in weight too. Fit for 007. The Jag represents fine British luxury and elegance, and it’s perhaps the most attractive of the performance sedans in terms of design. 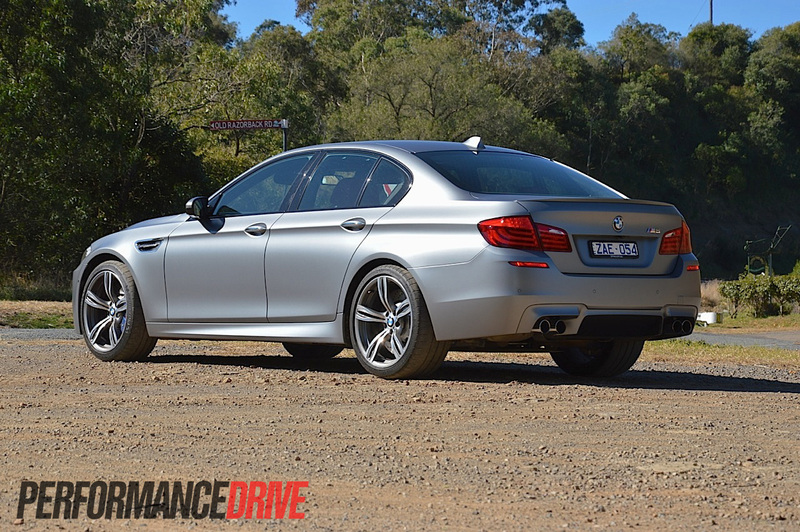 Superb V8 grunt, despite being slightly down on the figures compared with the rivals.